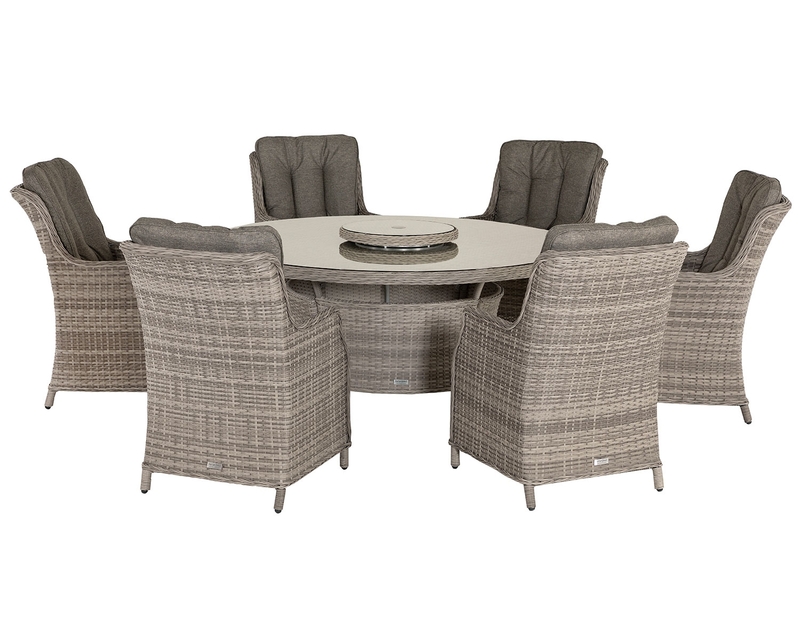 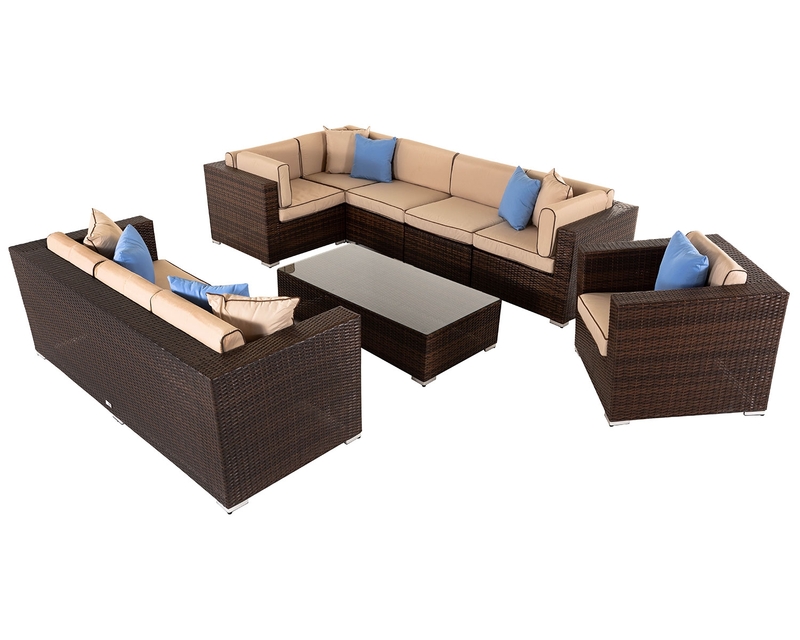 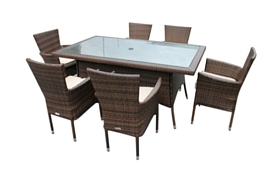 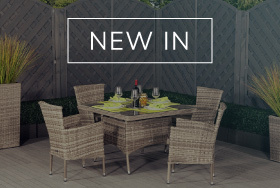 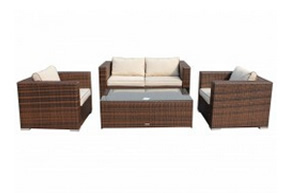 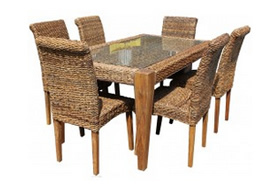 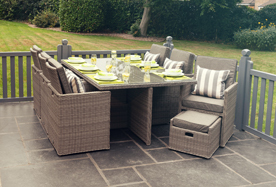 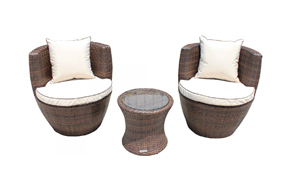 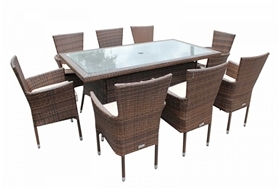 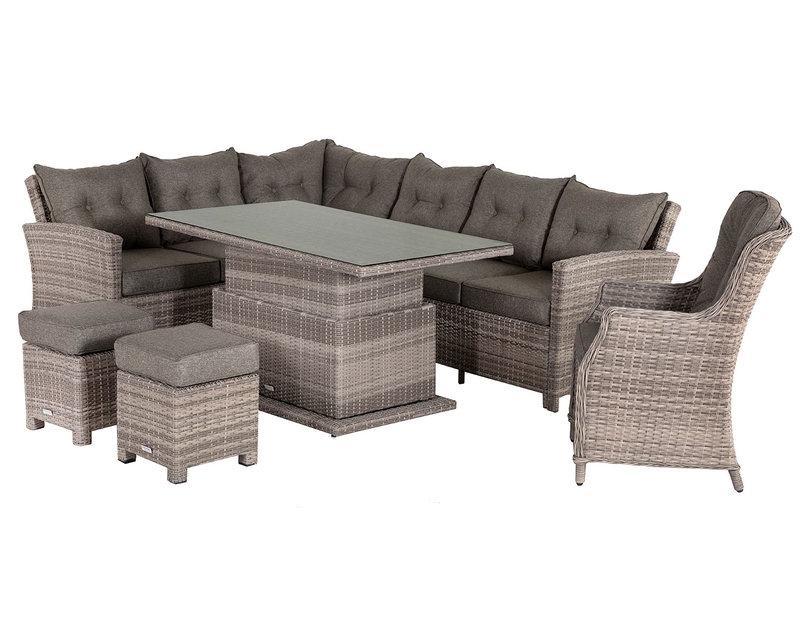 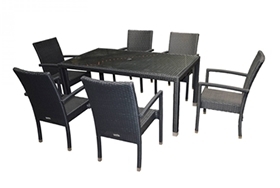 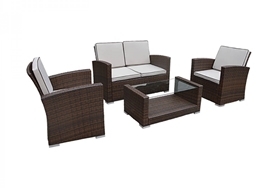 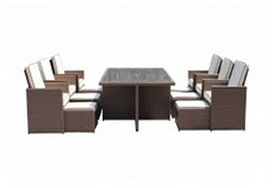 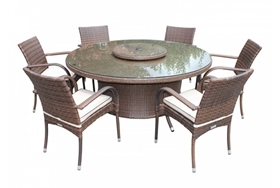 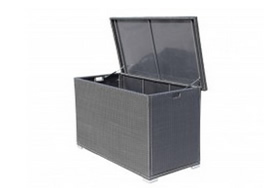 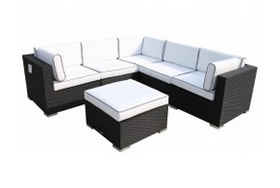 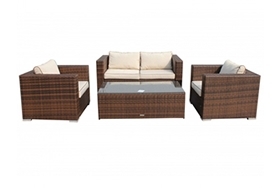 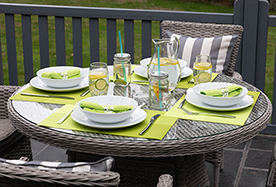 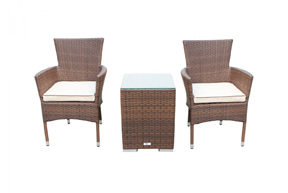 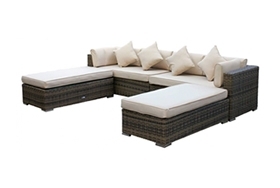 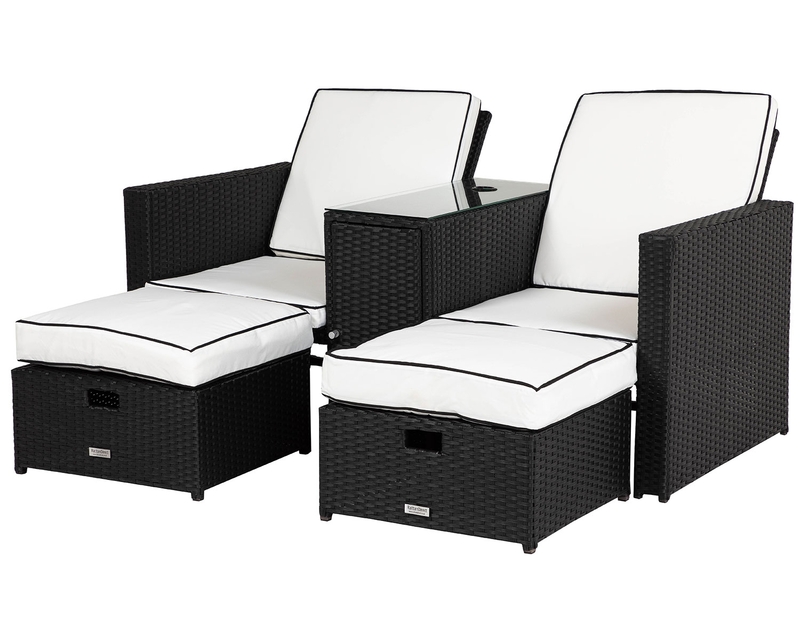 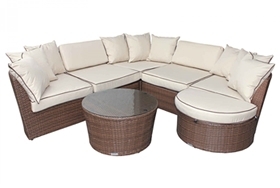 When you’re looking for versatility from your garden furniture, the Florida 6 piece set is the ideal choice for your outdoor spaces. 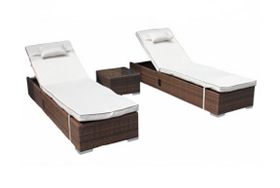 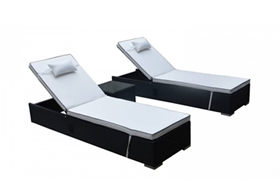 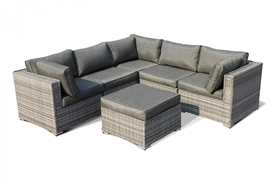 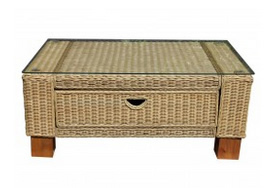 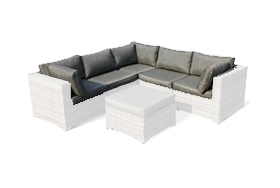 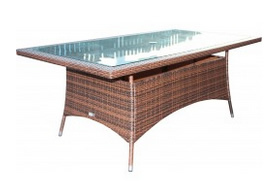 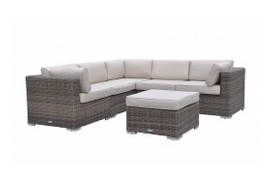 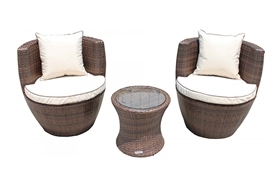 Comprising three corner sections, two armless sections and an ottoman footstool which also doubles as a coffee table, this set can accommodate your own preferences easily. 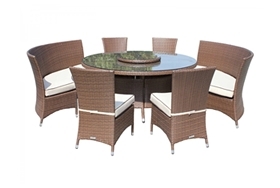 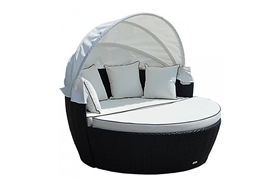 The ideal choice for larger families and groups, its truffle and champagne colour scheme is extremely stylish and elegant on any patio. 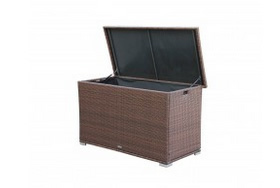 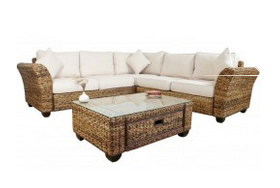 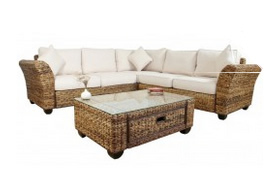 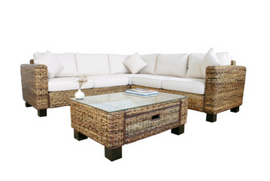 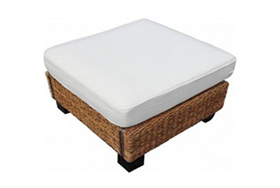 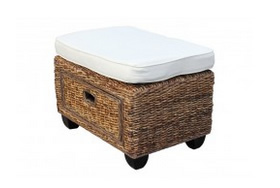 Thanks to the wipe clean synthetic rattan finish, you won’t have to spend hours on the onerous task of cleaning your furniture. 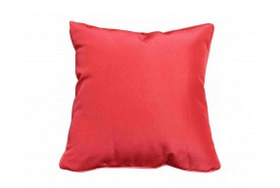 You’ll also have no difficulty in cleaning the cushion covers since they are removable and can be machine washed for convenience. 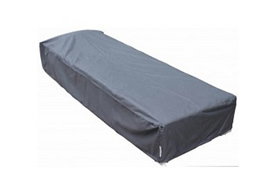 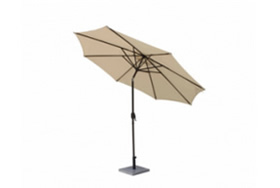 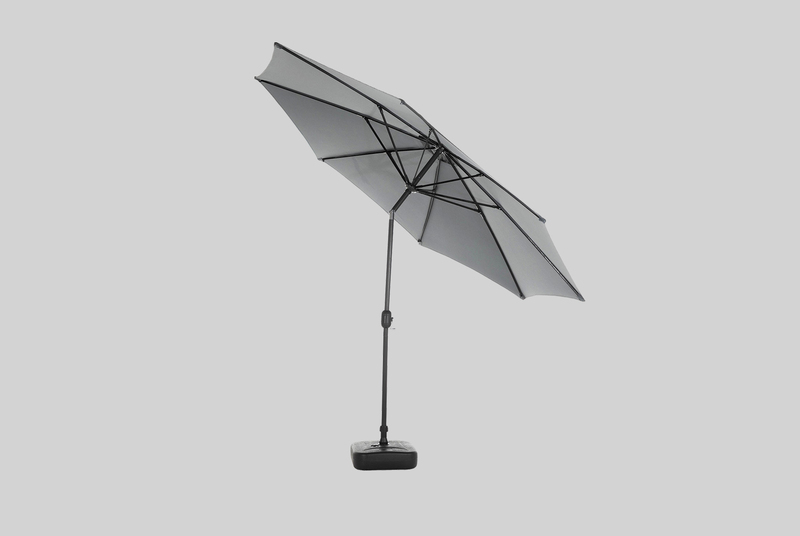 With the free outdoor rain covers that come as standard, you’ll also have no difficulty in protecting this elegant set from the rain and wind. 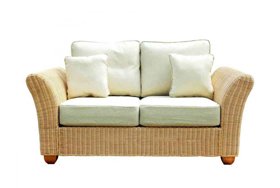 With rust resistance built in and UV and anti-fade protection, you can expect this sofa set to stay looking fantastic for years. 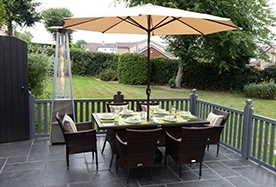 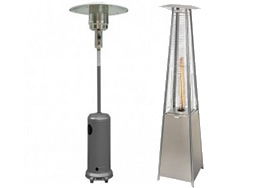 As it is also protected by a 5 year structural warranty you won’t have a thing to worry about. 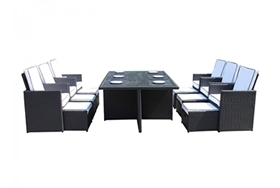 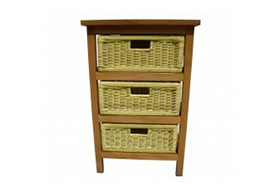 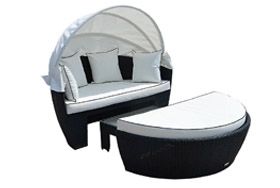 Delivered ready assembled to your home anywhere throughout the UK, you will appreciate the convenience and great value of this set.